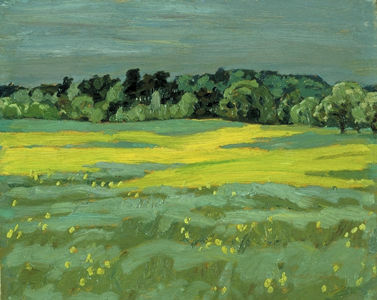 Alexander Young Jackson, CC, painter (born 3 October 1882 in Montréal, QC; died 5 April 1974 in Kleinburg, ON). A Companion of the Order of Canada and recipient of a medal for lifetime achievement from the Royal Canadian Academy, A.Y. 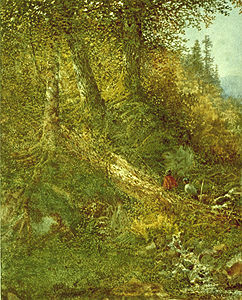 Jackson was a leading member of the Group of Seven and helped to remake the visual image of Canada. Aaron Allan Edson, landscape painter (b at Standbridge, Qué 18 Dec 1846; d at Glen-Sutton, Qué 1 May 1888). His first teacher (around 1863) was likely Robert Duncanson, an American artist living in Montréal. He later studied in London, England. Aba Bayefsky, artist, teacher (b Toronto 7 Apr 1923; d Toronto 5 May 2001). Bayefsky studied at Central Technical School in Toronto from 1937 to 1942. The following year he enlisted in the RCAF and was commissioned as an Official War Artist in 1944. 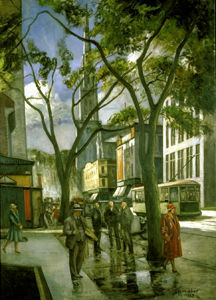 Adrien Hébert's artistic career may be said to have begun in 1909 when he exhibited for the first time at the AAM's Salon du printemps, a venue that regularly featured his works up until 1954. From 1910 to 1960 his paintings were shown at the annual exhibitions of the Royal Canadian Academy of Arts. 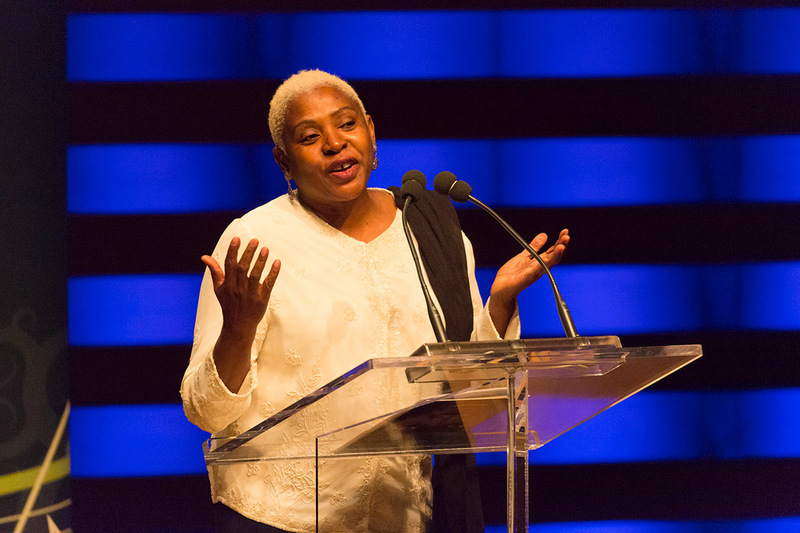 Afua (Ava Pamela) Cooper, educator, historian, performance artist, poet (born 8 November 1957 in the Whithorn district of Westmoreland, Jamaica), is considered one of the most influential and pioneering voices in the Canadian dub poetry and spoken word movement. Her poems are published in numerous regional, national and international journals and anthologies. Afua Cooper also has CDs of her performances that make her work well known to the global community. In addition to her renown as a performance artist, she is an internationally-ranked historian. She has taught Caribbean cultural studies, history, women's studies and Black studies at Ryerson and York universities, at the University of Toronto and at Dalhousie University. Agnes Nanogak, graphic artist (b on Baillie Island, NWT 12 Nov 1925, d at Holman [Ulukhaktok], Northwest Territories 5 May 2005). Aiko Suzuki, fibre artist (b at Vancouver 1937; d there 31 Dec 2005). Although not a weaver or tapestry designer in the traditional sense, she was one of a number of Canadian artists who have used fibres and textile techniques as a medium for expressing abstract concepts. 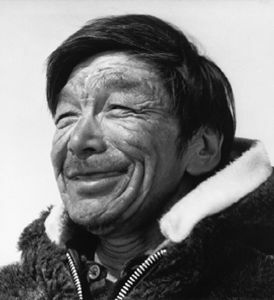 Akeeaktashuk, sea hunter, sculptor, storyteller (b at Hudson Bay, near Inukjuak River, Qué 1898; d at Craig Harbour, NWT 1954). Akeeaktashuk was a jolly, robust and outgoing man with an astonishing talent for observing and keenly portraying humans, animals and birds in stone and ivory. Al (Alan Douglas) Neil. Pianist, composer, visual artist, author, b Vancouver 26 Mar 1924. He studied with Glenn Nelson and Jean Coulthard but, save for some lessons with Wilf Wylie, was self-taught as a jazz pianist. Al Razutis, filmmaker, videographer, holographer (b at Bamberg, Germany 28 Apr 1946). Razutis moved to Vancouver from the US in 1968, following graduate studies in mathematical physics. Alain Chartrand, director, author (b at Longueuil, Qué 2 Feb 1946). Alain Chartrand did his secondary studies at Collège Marie-Victorin and then enrolled in the Conservatoire de musique du Québec in Montréal, playing trumpet and double bass. Alan Hepburn Jarvis, art connoisseur, sculptor, editor, author (b at Brantford, Ont 6 July 1915; d at Toronto 2 Dec 1972). Alasua Amittuq Davidialuk, Inuk artist (b on a small island near Povungnituk, Qué c 1910; d on an emergency evacuation flight near Povungnituk 1 Aug 1976). An indifferent hunter, he lived in poverty until he gained recognition as a folk artist near mid-life. Albert Jacques Franck, Albie, painter (b at Middelburg, Holland 2 Apr 1899; d at Toronto 28 Feb 1973). 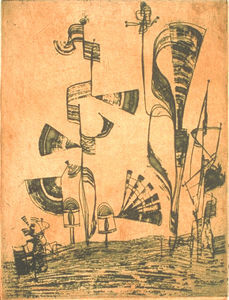 Albert Rousseau, painter, printmaker, animator (born 17 October 1908 in St-Étienne-de-Lauzon, Québec; died 18 March 1982). Alex Cameron, visual artist (born 1947 in Toronto, ON). Alex Cameron is broadly recognized as one of the most distinguished contemporary heirs of the Group of Seven, Jack Bush, and the Painters Eleven. 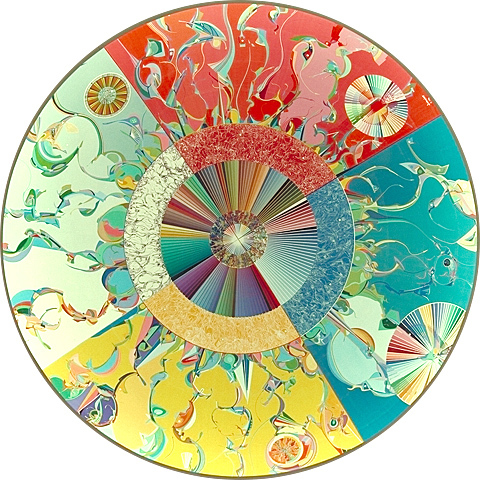 Alex Simeon Janvier, painter (born 28 Feb 1935 in Le Goff Reserve, Cold Lake First Nations, near Bonnyville, AB). 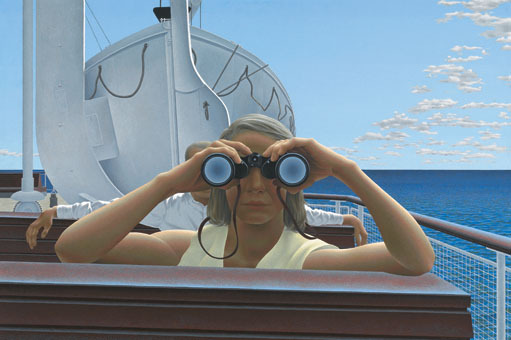 David Alexander Colville, painter (born 24 Aug 1920 in Toronto, Ontario died 16 July 2013 in Wolfville, Nova Scotia). Alex Colville moved with his family to Amherst, NS, in 1929 and studied at Mount Allison (1938-42).